The 2018 Ogawa-Yamanaka Stem Cell Prize winner, Marius Wernig, will give a scientific lecture and be presented with the award. On October 15, 2018, Gladstone Institutes will honor the 2018 Ogawa-Yamanaka Stem Cell Prize winner, Marcus Wernig, MD, PhD, with an award ceremony followed by a presentation of his prize-winning research. Marius Wernig is an associate professor of pathology at the Institute for Stem Cell Biology and Regenerative Medicine at Stanford University. Wernig was selected for innovating direct cellular reprogramming technology and for his contributions to the advancement of therapies for genetic diseases based on induced pluripotent stem cells. His groundbreaking research has advanced the development of disease models for neurological diseases and skin disorders. Due to limited seating this event is first-come, first-served for Gladstone and USCF community members. If you are unable to attend in person, register here to view the award ceremony and presentation live streamed on Gladstone's YouTube channel. 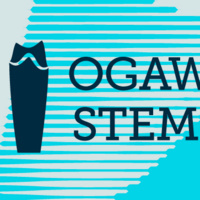 The Ogawa-Yamanaka Stem Cell Prize was established in 2015 through a generous gift to the Gladstone Institutes by the late Hiro and Betty Ogawa. The prize recognizes individual researchers conducting groundbreaking work in translational regenerative medicine using reprogrammed cells. Chosen by a committee of peers, the awardee receives an unrestricted prize of $150,000 USD. Free to attend. Due to limited seating, this event is first-come, first-served.